What is an Error Fare flight and how to find them? Here are our general tips how to find an error fare flight..
Error fare flight is a term most of the travellers have heard of already. If you are continuously hunting for best travel deals you have probably heard of classic booking agents such as Expedia, BudgetAir or Opodo. From time to time they are offering some cheap flight deals or promoted accomodation. However, the air ticket rates usually vary at similar rate level without any major distortion. Lets say that flights from major European cities to New York vary between €400-500 throughout the year. In such case when you can book ticket around €400 its indeed good offer… But, taking as an example the most recent Error fare deal to USA, what about if you would have an opportunity to book super cheap error fare flight from Europe to New York for just €122 or to Honolulu, Hawaii for just €385? But what exactly error fare flight means? (or in general Error fare deal as this also applies lets say to accomodation), how to book and the most important, how to find them? So, are you up find to where your next journey might be leading you? … then lets reveal some general tips how to find such a error fare flights! What does Error fare flight means? Error fare deal simply means what it implies. Whole travel industry is one of the busiest sectors and so the mistakes in air fares may appear time by time. These faulty assessed flight deals may be normally booked through booking agents or directly with the airline once they occur.. Nowadays, in the computer world, everything is calculated using sophisticated softwares and complicated systems. However, everything behind all the air fares (usually unique for each travel agency or airline) is still driven by a human. And this is in fact key factor why the error fare actually occurs! One of the most common samples is when fuel surcharge, airport tax or other fees are not added to the final price during the calculation of the airfare. This is inserted by human into the system however booking servers such as Expedia shows the fares instantly. Typically few of the air tickets are sold for some incredible price before the travel agency or airline is alerted.. If you are not yet that skilled in travel industry we recommend you to also read our next article focusing on best tips how to book cheap flights and air tickets. 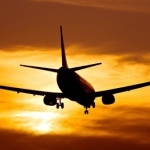 To which destinations you may book an Error fare flights? This is completely unpredictable for an obvious reason – the air fares are randomly “screwed up” during implementation process protecting to predict where the next crazy fare may appear. So, might be an unexpected to someone, but the error fares are usually found on the most classic routes like from Europe to Asia or Europe and America. There are few reasons of this conclusion. Apart of that there are much more airlines offering their service to these usual destinations than lets say to Kangerlussuaq in Greenland there is another reason. There is much more travellers heading to these destinations and if you are using booking tools properly and sharing your finds to the community this is a classic way these deals are uncovered. Because, in many cases, these flights are found randomly without any deeper intention and by someone, who does not necessary have to be veteran in travel industry. Error fare flights of open-jaw air tickets are affected way more than regular flights simply because they are much more treacherous in terms of establishment complexity. ( “open-jaw” is a term using for a flights booked within multiple cities – your return flight will be from or you will return back to different city than the original one. For imagination you will be flying from Europe to Jakarta but returning back from Bali.) Check out also our next article focusing to bring you more general tips for cheap air tickets! Can the airline cancel already booked flight? We have to stress that booking an error fare flight is only on your own risk and the flights can be cancelled. (however, even the payment has been already processed you do not have to worry, you will get your money back).As another example you may refer to already legendary Alitalia error fare allowing to book some extremly cheap flights within Europe and also to Asia and USA. This error fare deal allowed to purchase even free air tickets. However, in the end all free tickets were cancelled. (which was not the case of flights to Asia and USA). There are lots of other things that airlines will not tell you but you should be aware of. Airline will have hard time to cancel your flight only once you receive E-tickets to your mail. Also because of this we recommend to pay any error fare ticket by credit card to ensure the payment is processed the earliest possible and the airline system can pass the air ticket to you. And do you think that once you book your super cheap flight it is all done? But have you considered how expensive is the destination you are flying to? Then you should check our another article about top exotic destinations you can afford, places which will definitely not ruin your account. The gist of the success is to be very flexible, react fast with your booking even thought you do not have certain travel plan and risk a little bit. Some of the previous error fare flights led me to Nepal, Thailand, India, Cambodia or Tanzania. Where to find error fare flights? Firstly, an error fare flight deals are not easy to find. It may takes countless hours searching on the internet with no result. As we already intimated, in many cases its just a pure luck and its only up to the lucky finder if he will book the flight without letting anyone know or share the deal with the community with higher risk that the deal will be revised and possibly your booking cancelled. Generally, you may follow travel blogs such as ours Flynous.com which are informing wide community about their latest error fare flight founds. And do you think that once you become parent its all over? Then check our tips for flying with a baby that will proove that it is not! We post plenty of opportunities to save in the air. but there are still some easy steps to save great money when on the ground. Check our latest post about airlines offering free hotel (in transit) during layover! To book the cheapest flights we also recommend metasearch engine Google Flights.